Attorney Annie Yang has been working in the field of immigration law for more than 10 years. 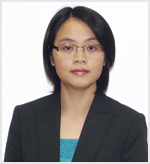 Prior to establishing Yang and Associates, Annie worked at Zhang & Associates as Partner and Branch Manager. Annie has helped hundreds of foreigners to realize their immigration dream. She has also helped corporate entities to maintain their immigration assets. In addition, prior to joining Zhang & Associates, Annie worked with an international law firm in Chicago for 2 years. Her work there included international commercial litigation and international trade. Annie accepts representation in a wide range of immigration matters including EB-1A, EB-1B, NIW, EB-5, PERM, H-1B, L-1, O-1, E, J-1 Waiver, B Extension, I-485, and I-130. With outstanding expertise, Annie continues to help numerous individuals and corporate entities achieve their immigration goals. Her expertise, commitment, efficiency, and deep care for her clients enable her to serve them to the fullest. Annie is affiliated with American Immigration Lawyers Association (AILA) and Christian Legal Society. She received her LLB degree from China University of Political Science and Law, a Master of Law degree from the Law School of Shenzhen University, and an LLM degree from Chicago-Kent College of Law. Mr. David Chen is a dedicated attorney bringing years of experience to the practice of U.S. immigration and citizenship law and estate planning and trust law. NIW, EB-1B, EB-1A, H-1B, PERM, J-1 waiver, I-130, O-1, EB-5 and waiver of inadmissibility are David’s current immigration practice focus. David’s passion and personal services have been widely recognized by his clients for years. Whether you are an individual pursuing the American dream, a family seeking to be reunited, or a business needing the services of foreign talents, David is capable of providing answers to your toughest immigration questions. 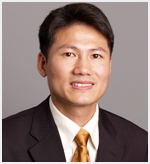 He is a member of Chicago Bar Association, Christian Legal Society, OCA, Chinese American Bar Association and Asian American Bar Association. David is also an alumnus of Chicago-Kent College of Law, Shenzhen University Law School, and Jilin University in China. Ms. Youd is committed to helping her clients find the best solutions for their immigration needs. She focuses largely on NIW, EB-1A, and EB-1B cases. She received her Juris Doctor (J.D.) from Northwestern University School of Law, where she participated in the school's legal clinic and international law journal. Prior to law school, she received her Bachelor's degree in Humanities from Brigham Young University. She is admitted to practice in Illinois. Ms. Rangwala is committed to advocating for her clients. She primarily works on NIW, EB-1A and EB-1B cases. She received her Juris Doctor (J.D.) from the University of California, Hastings College of the Law, where she participated in the mediation clinic and the women’s law journal. Prior to law school, she received her Bachelor’s degree in political science from Santa Clara University. She is admitted to practice law in the state of California.